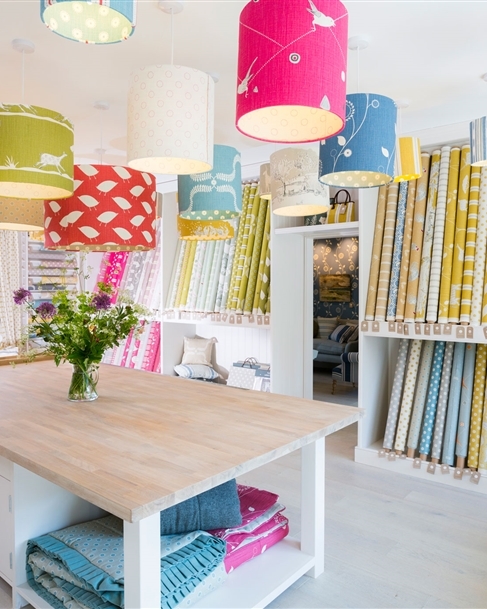 Our custom lamp shades are beautifully hand made with great care and attention; we make both drum and empire ceiling light shades and can assist you on the telephone or in our shop with advice and help should you need it. 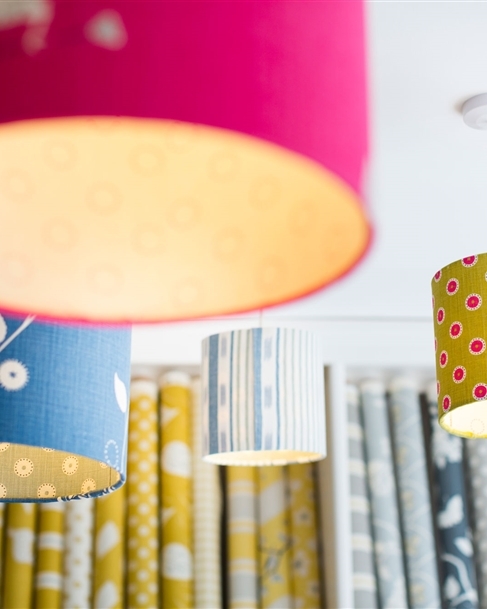 Our drum lamp shades are available in the following diameters: small: 20cm diameter, medium: 30cm diameter and large: 40cm diameter and extra large: 50cm (this size requires fabric to be joined and will have a seam) and various heights from 20cm - 40cm. 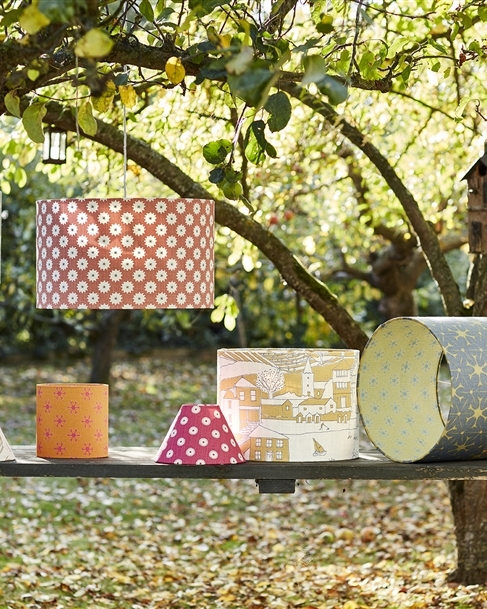 You can pick the fabrics of your choice for both the inside and outside of your drum lampshade. Extra Small (perfect for wall lights): 8cm top diameter, 13cm height, 14.5cm bottom diameter - please note that this size can only be ordered in pairs. Small: 10cm top diameter, 17cm height, 25cm bottom diameter. Medium: 15cm top diameter, 25.5cm height and 40cm bottom diameter. 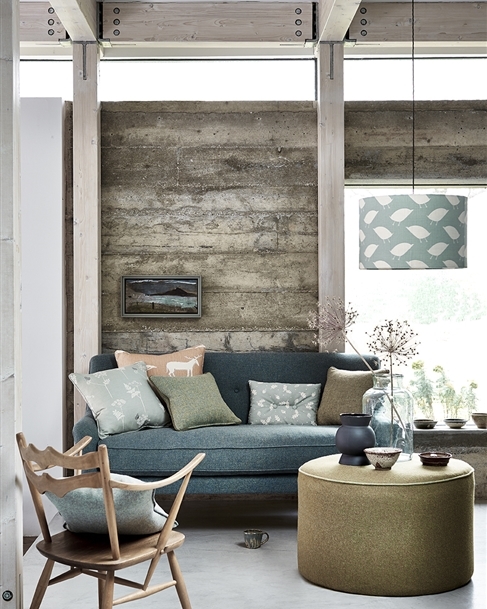 The empire lampshade does not have the option for using a second fabric for lining it. 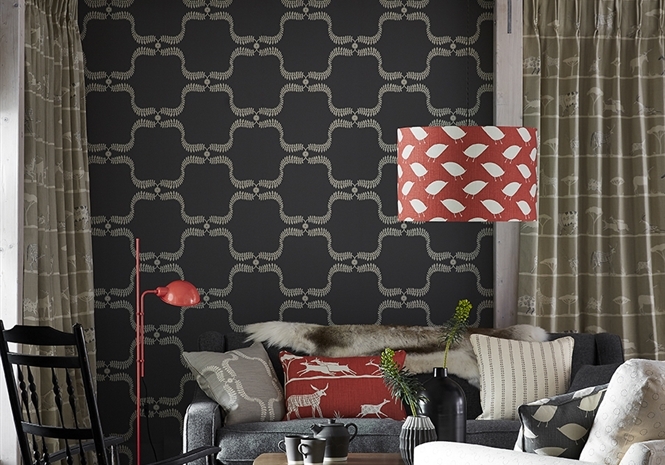 Your light shade will be delivered to you within 5 weeks of placing your order. 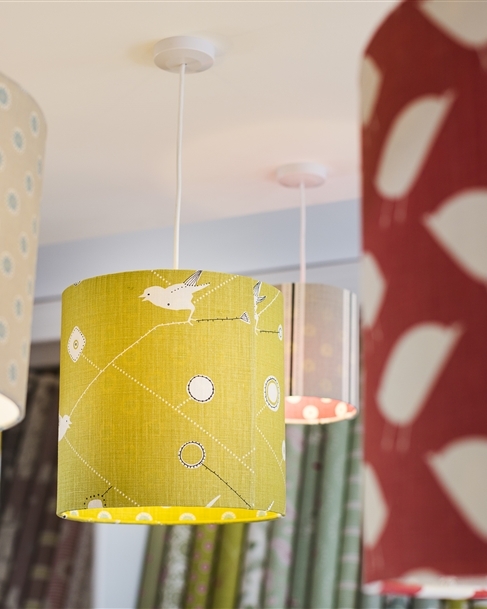 All our lampshades are supplied with a UK B22 standard fitting.